GLOBETROTTING LIFE: 7,107 Sunsets. It's More Fun in the Philippines! 7,107 Sunsets. It's More Fun in the Philippines! Guaranteed to give you the most beautiful sunset any day. 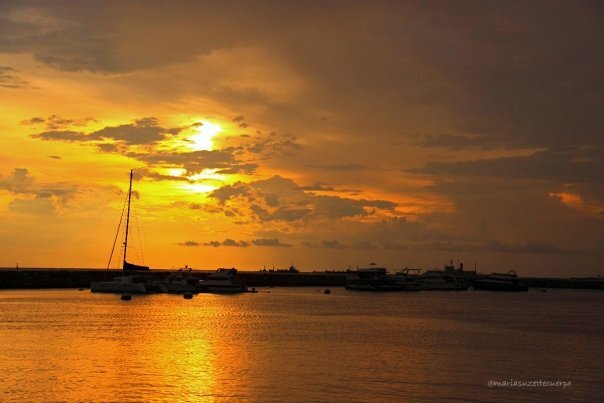 The profile photo above was taken while taking the sunset dinner cruise along Manila Bay. 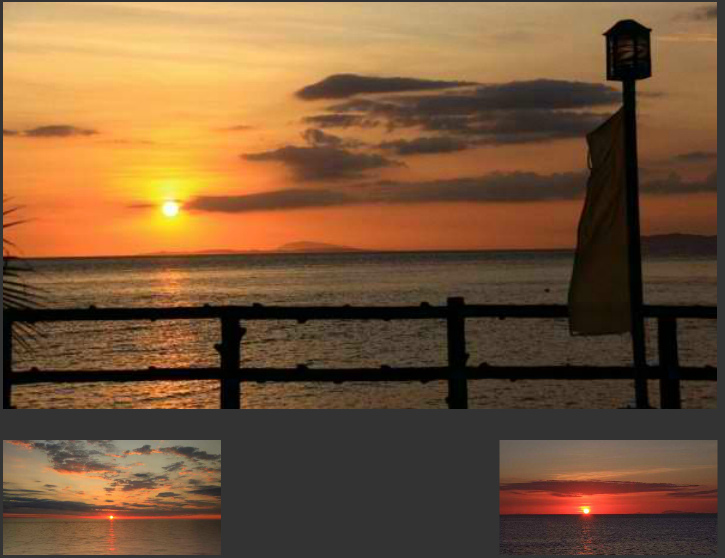 The other 2 shots here were taken on different occasions at the SM MOA bay area and at the Roxas Boulevard Baywalk. 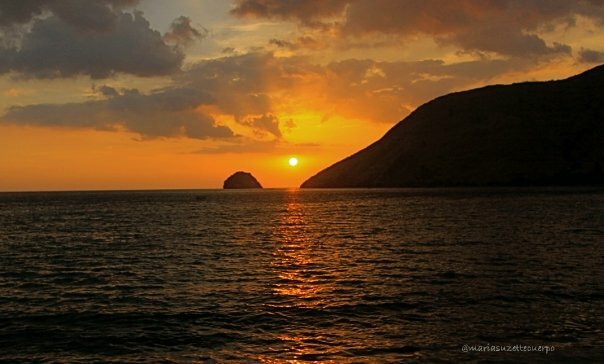 We were on our way to our night dive when we noticed the sunset. I whipped out my camera and took the shot despite it being in its underwater case. What a glorious sight! We spent a night camping in this island. We were blessed with a beautiful weather that day, so I was certain we will have a beautiful sunset. We were not disappointed! Our diving playground because of its proximity to the metro. 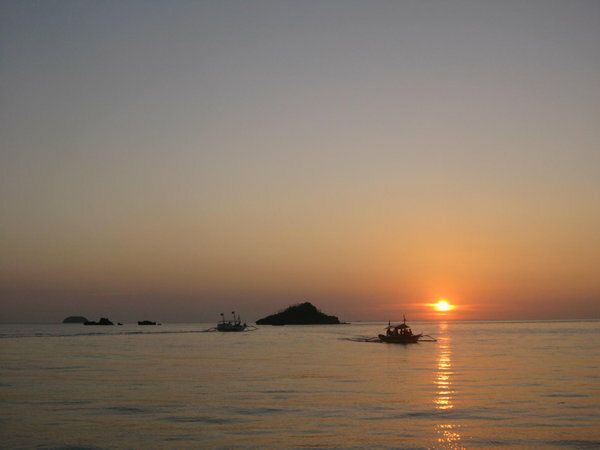 We have witnessed glorious sunsets in the area we sometimes forget how beautiful it is. Above are just a few shots of Anilao's version of the Philippine sunset. We were on our way back from island hopping the islands of Caramoan. I was holding on to dear life as the ride was rough. But when I saw the above image, I instinctively took my point & shoot camera (as my DSLR was warmly packed to protect it from seaspray), took a firm hold of one of the poles of the banca and shoot away. 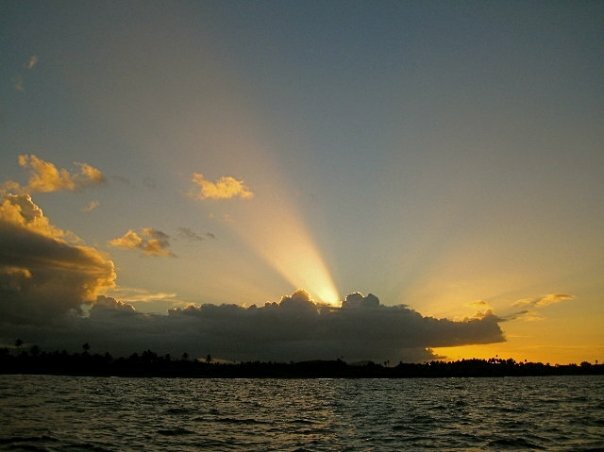 The sunburst (or crepuscular rays) was just amazing! Such a paradise deserves a beautiful sunset. And yes, it did gave us 2 of its versions. For those who are into landscape photography, this place is a haven. Both ends of the island are teeming with boulders and rocks as appropriate foreground. Cottages on stilt on high tide and a vast sandbar on low tide. But sunrise and sunset came during high tide when we were there so was not able to find an interesting foreground. 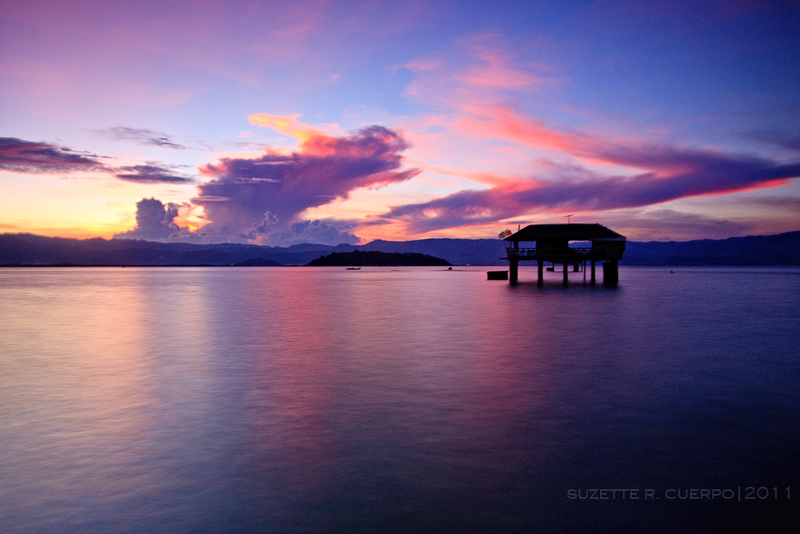 Nevertheless, I was able to take a sunset shot on our 2nd day using some filters. Awesome colors and clouds we had that day. Yes! Sunsets. It's More Fun in the Philippines! Sunsets can also be a soothing sight and can also be a stress buster after days of work by watching her slowly fading. I like the Manjuyod Sandbar sunset. :-).